A live-action Carmen Sandiego feature film is in production over at Netflix. Deadline reports that it will star Gina Rodriguez (Jane the Virgin, Annihilation, Miss Bala), and that she will also produce the film. 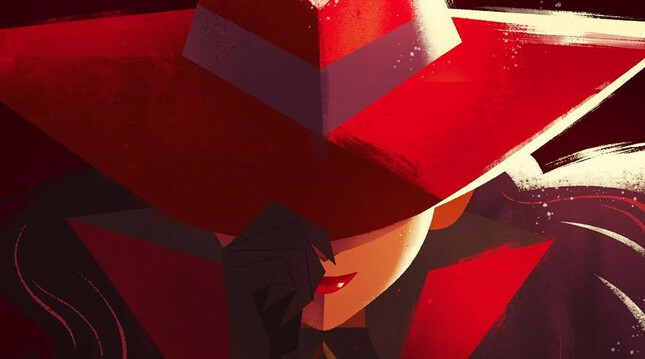 Last year, Netflix announced a new Carmen Sandiego animated series for 2019 with Rodriguez voicing the title character. A line of Carmen Sandiego books will also launch in 2019. The movie will be a standalone adventure. No writer or director is attached yet. In the early '90s, a gameshow based on Where in the World Is Carmen Sandiego? ran for five seasons before being replaced by a similar show, Where in Time Is Carmen Sandiego? That same decade an animated series called Where on Earth Is Carmen Sandiego? aired, and a number of Carmen Sandiego books and board games were released. In 2012, a Carmen Sandiego film co-produced by Jennifer Lopez (who was also considered for the lead role) was announced, but was caught and brought to justice before it could escape Hollywood.